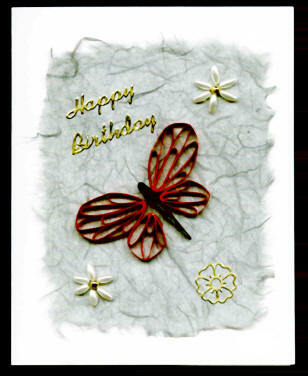 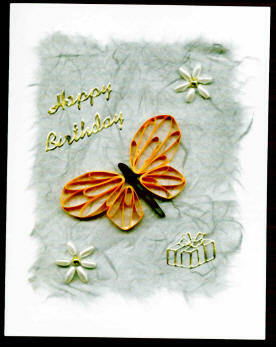 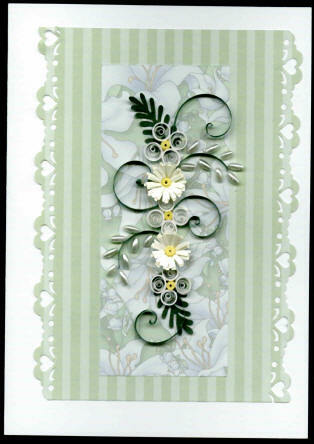 Beautiful quilled cards.. each individually hand made are perfect for making any occasion special. 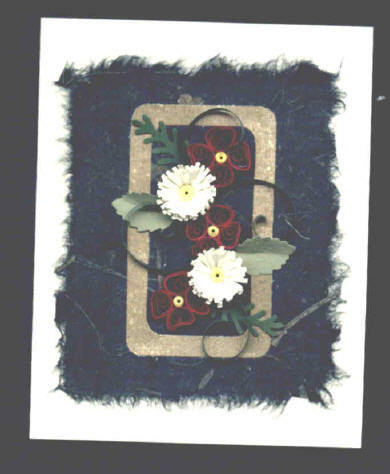 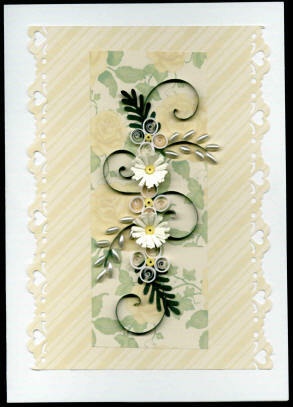 quilled flowers with coordinating fringed flowers. 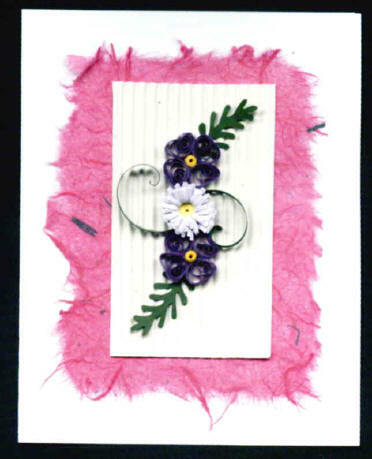 KO4: Hot pink mulberry paper with Purple quilled flowers. 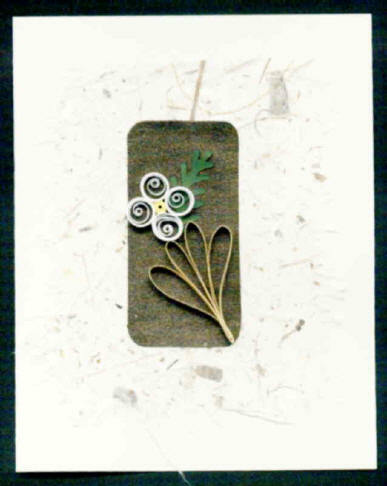 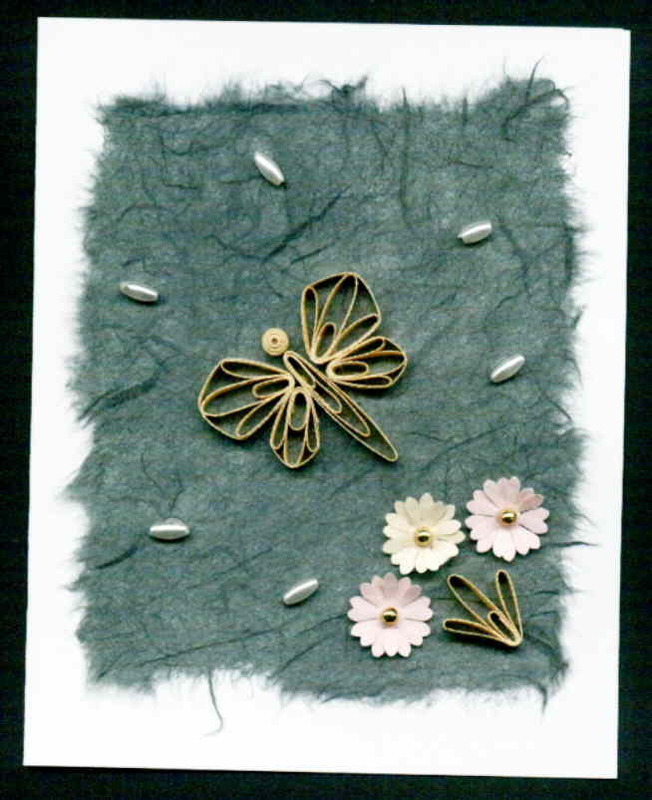 on black mulberry paper with a gold inset. 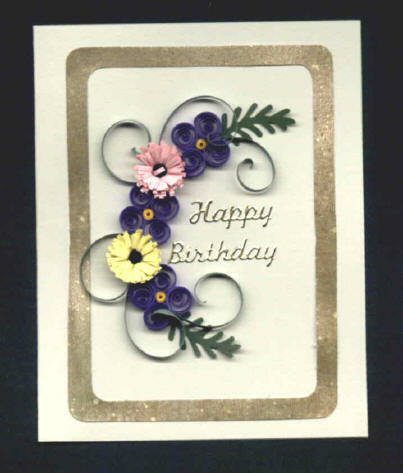 4 x 5 card blank inside. 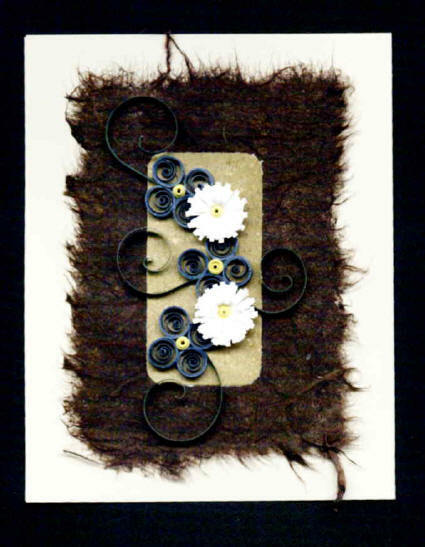 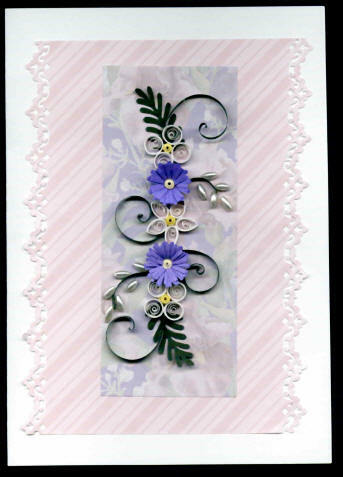 KO 10: Soft pinks and lavenders on this card with quilled and fringed flowers.